Fun Fest 2015 (July 10th-18th) is proud to announce the entertainers for the 2015 Sunset Concert Series.TobyMac will kick off the series on Thursday, July 16th followed by co-headliners, Thompson Square and David Nail on Friday, July 17th. The festival finale will be The Band Perry on Saturday, July 18th. Thursday night’s Contemporary Christian Concert will open up with Brandon Heath, a multi-Dove Award winner and five-time GRAMMY nominee. Heath is best known for his No. 1 hits, “I’m Not Who I Was” and “Give Me Your Eyes”. His fifth album, No Turning Back, was released on February 10, 2015. The headliner for this year’s Contemporary Christian Concert is TobyMac. TobyMac is one of the first and best-known Christian rappers. His latest studio single, “Beyond Me”, is climbing the charts on Christian radio. Since its 2012 release, the latest album,Eye On It, has entered the Billboard 200 at No. 1 and won a GRAMMY and Billboard Music Award. TobyMac has received an American Music Award for Favorite Christian Artist and KLOVE’s Artist of the Year Award. Sponsors for the Thursday night concert are Honda Kingsport, Tele-Optics, Inc., Carter-Trent Funeral Homes and 88.3 WCQR. The Friday Night Concert kicks off with the award-winning, country music duo, Thompson Square. Thompson Square is best known for their two, No. 1 singles, “Are You Gonna Kiss Me or Not” and “If I Didn’t Have You”. The duo has released two albums, which have produced a combined eight chart singles on the Hot Country Songs and Country Airplay charts. Thompson Square is no stranger to Kingsport. They served as celebrity guests on The Santa Train in 2011 and 2012. 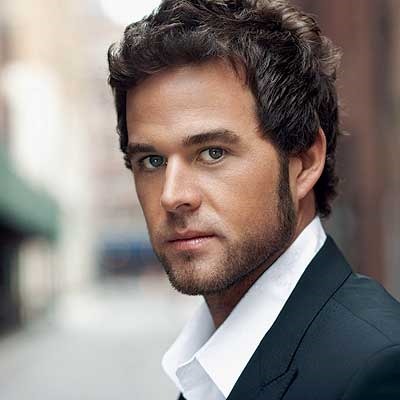 Co-headliner for the evening will be David Nail. Nail, a GRAMMY-nominated country artist, is best known for his chart topping single, “Let It Rain”, which was released in 2011. His latest album, I’m a Fire, has produced three singles on country radio in the last year; “Whatever She’s Got”, “Kiss You Tonight” and “Broke My Heart”. Sponsors for the Friday night concert are Appalachian Power, AGC Glass Company North America, Domtar, Wendy’s and WXBQ. Fun Fest 2015 will end the week with opener, Echosmith and headliner, The Band Perry. Echosmith, who released their first single, “Cool Kids” in 2013. “Cool Kids” reached number 13 on the Billboard Hot 100 and was certified Platinum by the RIAA. Their second single, “Bright” is already climbing the charts and has currently peaked at 19 on the Billboard Bubbling Under Hot 100 Singles. 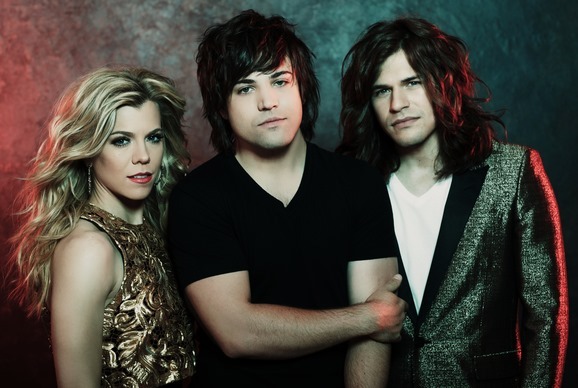 The Band Perry is a country music group that originated in Greeneville, TN and is composed of siblings Kimberly, Reid and Neil Perry. They released their self-titled debut album on October 12, 2010. From this album, “If I Die Young” reached number one on the U.S. Billboard Hot Country Songs and Hot Adult Contemporary Tracks charts and has been certified quadruple platinum. Their second album, Pioneer, was released April 2013 and produced additional number one singles in “Better Dig Two” and “DONE.”, plus the Top 10 hits “Don’t Let Me Be Lonely” and “Chainsaw”. Most recently, The Band Perry was awarded a GRAMMY for Best Country Group Performance on their latest single, “Gentle on My Mind”. Eastman Chemical Company is the sponsor for the Saturday Night Concert. Radio sponsors for the event are Electric 94.9 and WXBQ. The Sunset Series will take place on the Brock Services Stage at J. Fred Johnson Stadium. Additional Series sponsors includeEastman Credit Union, Charter Spectrum, Verizon, Cigna, WJHL, WCYB, WKPT and the Kingsport Convention & Visitors Bureau. G&K Services’ Friends of Festus VIP packages are a value-added option for concert-goers. Friends of Festus reserved seating packages are priced from $50-$70 per seat, based on which night you are attending. The package also includes a reserved parking area close to the stadium and a $15 Fun Fest merchandise gift certificate. A limited number of Friends of Festus packages will beavailable beginning March 30th. You can purchase your package visiting the Fun Fest Office at 400 Clinchfield St. or by calling (423) 392-8836. Beginning March 24th, online Sunset Series general admission tickets and packages can be purchased at www.funfest.net. Single night tickets for Thur. and Fri. night are $15 each and for Saturday night, $20. Combo packs for Thur/Fri. are $25, the Thur/Sat and Fri/Sat combo packs are $30 and the All 3 Nights package will be $45. Combo tickets are ONLY available online. Any remaining single-night, general admission tickets will be available beginning Friday, June 20 at 9 a.m. at the Fun Fest Store at 400 Clinchfield St., Ste. 100. Shirlrene Davis liked this on Facebook.